Early 20th Century square arch arm back sofa fully restored and traditionally upholstered. Amazingly comfortable with over 120 copper cone springs. 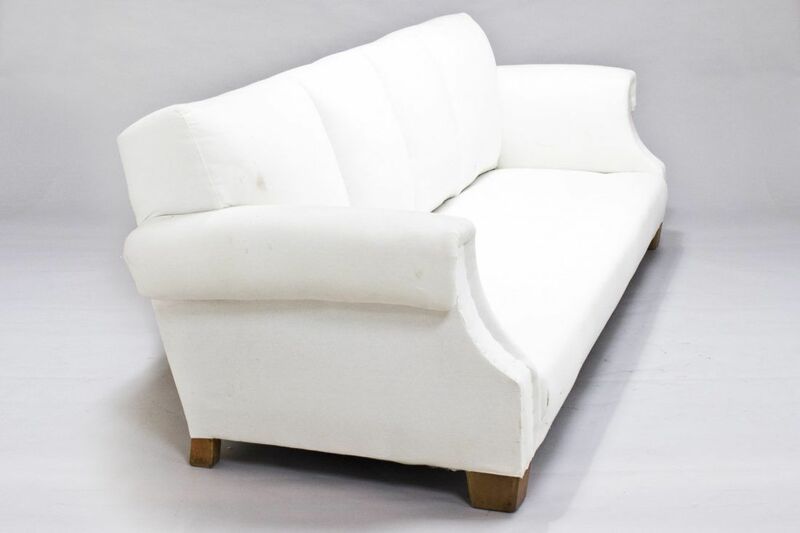 This wonderful antique sofa can be fully re-upholstered in any fabric chosen. We offer a complete upholstery service and can also supply fabric to you once chosen. Alternatively you may supply your own fabric to us subject to approval. Please contact us if you would like to discuss your options. To ask a question about the Early 20th Century Sofa click here. We'll email you the answer as soon as possible. If you have a question about the Early 20th Century Sofa, fill in the form below and we'll email you the answer as soon as possible.